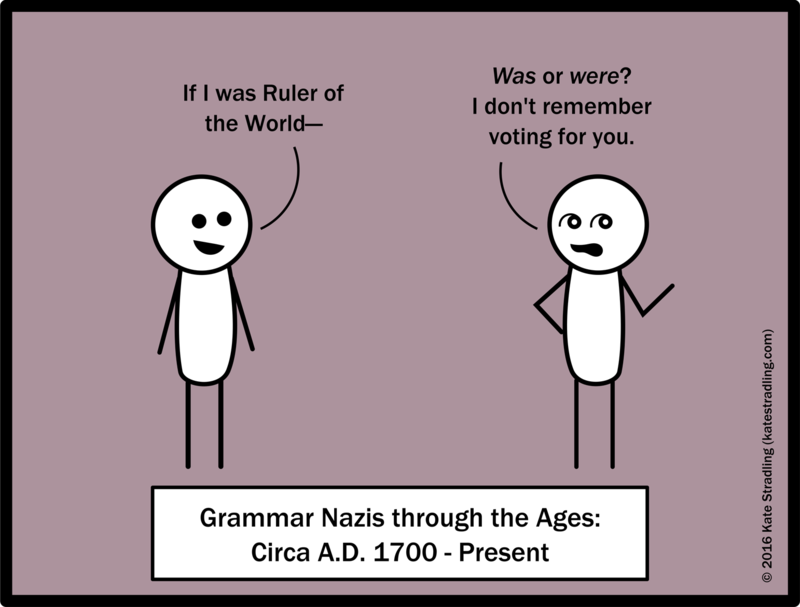 It think you really hit onto the main problem of most grammar Nazis. Mostly, that they don’t know why something is a certain way, only that they know it has to be that way. I like that you have explained where the entire rule stems from and how it has morphed over the years. As you said, “if I be late…” has not be said by anyone….meaning there is no one alive that should correct another for the past tense misusage. Also, this is a great argument for understanding that the evolution of language happens and we’ve all accepted many forms of it and should not be sticklers for those changes we haven’t quite accepted yet. Haha, yep! It’s gotten into a gray area where they’re almost interchangeable.